LAFAYETTE CRIME STOPPERS NEED YOUR HELP IN IDENTIFYING THREE SUSPECTS RESPONSIBLE FOR A SIMPLE ROBBERY. ON MARCH 11, 2018, A BLACK FEMALE AND TWO BLACK MALES ENTERED JAC'S STORE LOCATED AT 3217 EAST MILTON AVENUE IN YOUNGSVILLE. THE FEMALE DISTRACTED THE CLERK BY DROPPING A BOTTLE OF BEER ON THE FLOOR. WHILE THE CASHIER ATTENDED TO THE BREAKAGE, THE TWO BLACK MALES JUMPED OVER THE COUNTER AND FILLED THE TRASH BAGS WITH CARTONS OF CIGARETTES. ALL THREE SUSPECTS FLED THE AREA HEADED TOWARDS CHEMIN METAIRIE IN A NEWER STYLE BLACK NISSAN MAXIMA. THE VEHICLE HAD A TEMPORARY TAG IN THE REAR LEFT CORNER OF THE BACK WINDOW AND A CAR LOT NAME PLATE WHERE THE LICENSE PLATE IS DISPLAYED. IF YOU HAVE ANY INFORMATION ON THIS CRIME OR KNOW THE IDENTITY OF THESE THREE SUSPECTS, CALL OUR TIPS LINE AT 232-TIPS OR SUBMIT YOUR TIP BY USING OUR NEW P3 TIPS MOBILE APP. REMEMBER ALL TIPSTERS REMAIN ANONYMOUS AND CAN EARN UP TO A $1,000 CASH REWARD. 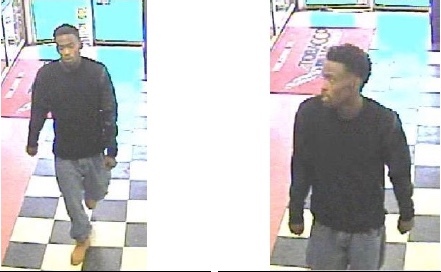 LAFAYETTE CRIME STOPPERS NEED YOUR HELP IN IDENTIFYING TWO SUSPECTS RESPONSIBLE FOR THEFT. 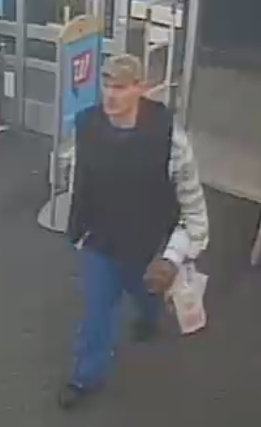 ON JANUARY 14, 2018 A WHITE MALE ENTERED THE BUSINESS OF WALGREENS LOCATED AT 5416 CAMERON STREET, SCOTT, LA AND USED A STOLEN CREDIT CARD TO PURCHASE A GIFT CARD. THE FOLLOWING DAY ON JANUARY 15, 2018 THE SAME STOLEN CREDIT CARD WAS USED AT THE BUSINESS OF CVS PHARMACY LOCATED AT 1920 KALISTE SALOOM ROAD, THIS TIME BY A WHITE FEMALE WHO PURCHASED A GIFT CARD AND SEVERAL ITEMS OF MERCHANDISE. IN BOTH INCIDENTS THE SUSPECTS LEFT THE SCENE IN AN UNKNOWN DIRECTION OR VEHICLE. IF YOU HAVE ANY INFORMATION ON THIS CRIME OR KNOW THE IDENTITY OF THESE TWO SUSPECTS, CALL OUR TIPS LINE AT 232-TIPS OR SUBMIT YOUR TIP USING OUR NEW P3 TIPS MOBILE APP. REMEMBER ALL TIPSTERS REMAIN ANONYMOUS AND CAN EARN UP TO $1,000 CASH REWARD. LAFAYETTE CRIME STOPPERS NEED YOUR HELP IN IDENTIFYING THE SUSPECTS WANTED FOR COMMITTING THEFTS AT THREE LOCAL BUSINESSES. LOCATED AT 1906 AMBASSADOR CAFFERY AND STOLE A LARGE AMOUNT OF CIGARETTES. 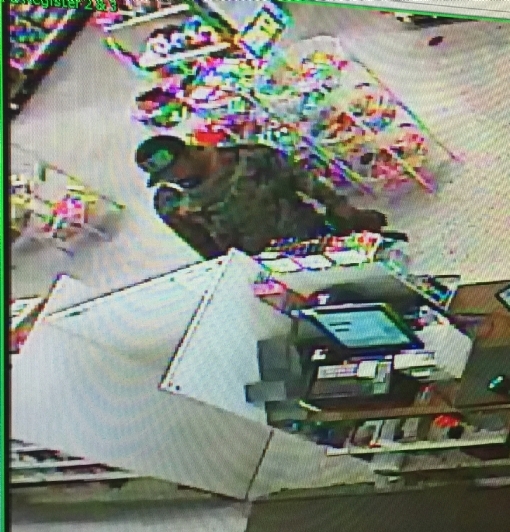 ON DECEMBER 15, THE TWO SUSPECTS ENTERED THE DOLLAR GENERAL STORE LOCATED AT 2411 LOUISIANA AVENUE AND FORCED ENTRY INTO THE OFFICE WHERE THE SUSPECTS STOLE SEVERAL CARTONS OF CIGARETTES. HELP US PUT AN END TO THEIR THEFT SPREE. IF YOU HAVE ANY INFORMATION ABOUT THIS CRIME OR THE IDENTITY OF THE SUSPECTS, CALL OUR TIPS LINE, 232-TIPS, OR SUBMIT YOUR TIP BY USING OUR NEW P3 TIPS MOBILE APP. ALL TIPSTERS REMAIN ANONYMOUS AND CAN EARN UP TO $1,000 CASH REWARD. 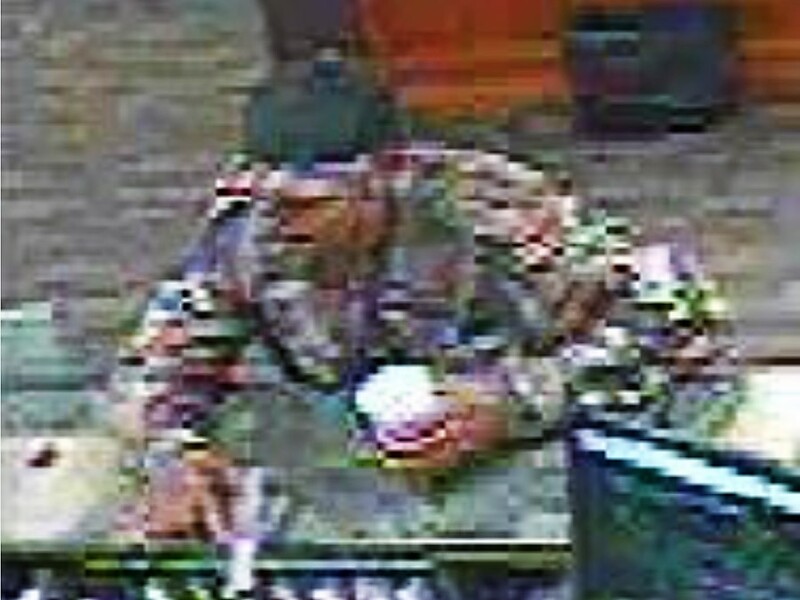 LAFAYETTE CRIME STOPPERS NEED YOUR HELP IN IDENTIFYING A SUSPECT RESPONSIBLE FOR A HOMICIDE THAT OCCURRED IN LAFAYETTE. ON SEPTEMBER 18, 2017 AT APPROXIMATELY 2:15 P.M., LAFAYETTE POLICE RESPONDED TO THE 1200 BLOCK OF EAST PONT DES MOUTON ROAD. OFFICERS LOCATED A 22 YEAR OLD MALE SEATED INSIDE A SILVER FORD F-150 TRUCK. THE VICTIM, IDENTIFIED AS JALEEL LAMAR BONHAM, SUSTAINED MULTIPLE GUNSHOT WOUNDS AND WAS PRONOUNCED DEAD AT THE SCENE. ACCORDING TO WITNESSES, JALEEL WAS LAST SEEN ON SEPTEMBER 17 AT APPROXIMATELY 11:00 P.M. ENTERING HIS VEHICLE. THE FAMILY OF JALEEL SAYS THEY WANT JUSTICE FOR THIS SENSELESS ACT OF VIOLENCE AGAINST THEIR LOVED ONE. IF YOU HAVE ANY INFORMATION ABOUT THIS CRIME OR KNOW THE IDENTITY OF THE SUSPECT, CALL LAFAYETTE CRIME STOPPERS AT 232-TIPS OR YOU CAN SUBMIT YOUR TIPS BY USING OUR NEW P3 TIPS MOBILE APP. ALL CALLERS REMAIN ANONYMOUS AND CAN EARN UP TO $1,000 CASH. 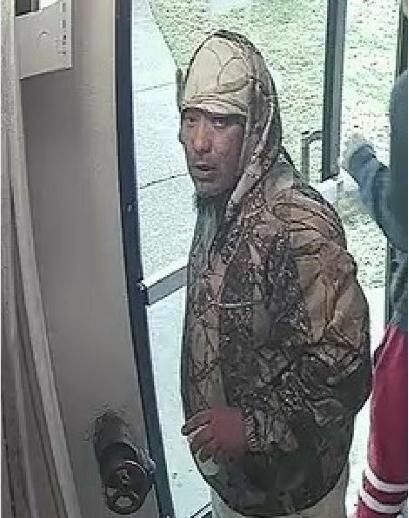 LAFAYETTE CRIME STOPPERS NEED YOUR HELP IN IDENTIFYING SUSPECTS RESPONSIBLE FOR A FELONY THEFT THAT OCCURRED AT A LAFAYETTE MOTEL. 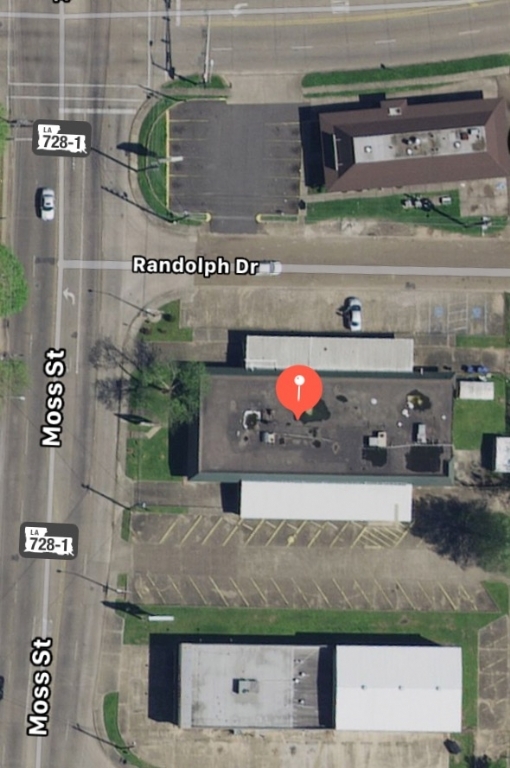 ON DECEMBER 6TH TWO SUSPECTS ENTERED A MOTEL IN THE 2200 BLOCK OF NE EVANGELINE THRUWAY. THE TWO WERE SEEN ENTERING A PRIVATE STORAGE CLOSET WHERE THEY REMOVED AUDIO AND VISUAL EQUIPMENT BELONGING TO A LOCAL CHURCH WHICH USED THE MOTEL FOR SUNDAY SERVICES. THEY WERE SEEN LOADING ALL THE EQUIPMENT INTO A U-HAUL BEFORE LEAVING THE SCENE. THESE SUSPECTS ARE BELIEVED TO BE RESPONSIBLE FOR SEVERAL THEFTS AND BURGLARIES AROUND THE LAFAYETTE AREA. THEY ARE DRIVING A U-HAUL TRUCK VERY SIMILAR TO THE ONE SHOWN IN THE VIDEO ABOVE. IF YOU HAVE ANY INFORMATION ABOUT THIS CRIME OR KNOW THE IDENTITIES OF THE SUSPECTS, CALL LAFAYETTE CRIME STOPPERS AT 232-TIPS OR YOU CAN SUBMIT YOUR TIP BY USING OUR NEW P3 TIPS MOBILE APP. ALL CALLERS REMAIN ANONYMOUS AND CAN EARN UP TO $1,000 CASH. LAFAYETTE CRIME STOPPERS NEEDS YOUR HELP IN IDENTIFYING SUSPECTS RESPONSIBLE FOR RETAIL THEFTS AROUND THE LAFAYETTE AREA. THE INDIVIDUALS PICTURED ARE WANTED FOR RETAIL THEFT FROM LOCAL CONVENIENCE STORES, CLOTHING STORES AND GROCERY STORES. ALL WERE CAPTURED ON SURVEILLANCE VIDEO CONCEALING MERCHANDISE THEN EXITING THE BUSINESSES WITHOUT PAYING. RETAIL THEFTS AFFECTS ALL OF US. STORES ARE OFTEN FORCED TO INCREASE THE PRICE OF MERCHANDISE TO MAKE UP FOR THE COST OF STOLEN GOODS. WE NEED YOUR HELP ACADIANA. IF YOU KNOW THE IDENTITY OF ANY OF THE SUSPECTS CALL LAFAYETTE CRIME STOPPERS AT 232-TIPS OR YOU CAN SUBMIT A TIP BY USING OUR NEW P3 TIPS MOBILE APP. REMEMBER ITS SAFE, ITS ANONYMOUS, AND IT PAYS TO CALL LAFAYETTE CRIME STOPPERS. 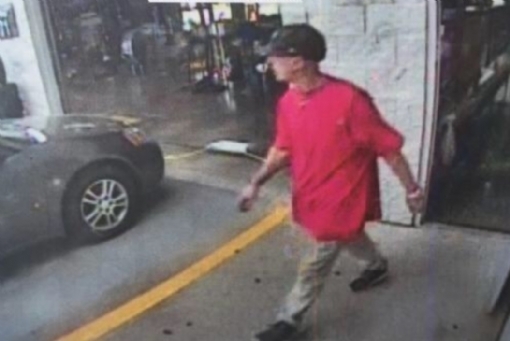 Lafayette Crime Stoppers and the Lafayette Sheriff’s Office need your help in identifying the suspect who committed a vehicle burglary. A Lafayette Parish Sheriff’s patrol vehicle was stolen on Friday, September 8, 2017, from the Greystone Apartment Complex located on Reserve Drive. After breaking into the vehicle, the vehicle was driven to a vacant home near the intersection of Pall Mall and Melody Drive. 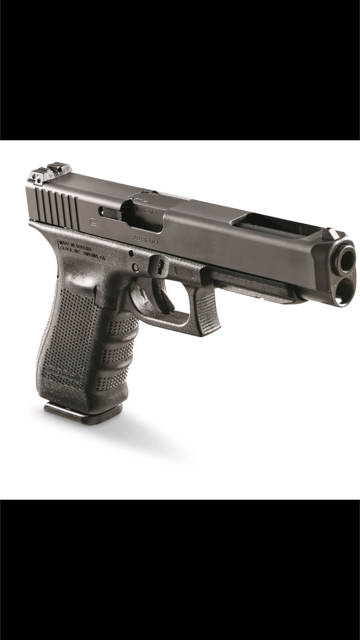 Once the vehicle was parked at the alternate location, the suspect was able to override the locking mechanisms and steal two firearms. One, a Glock 34 9mm pistol serial number BFGR344 and the other an American Defense Mod 2 5.56 caliber rifle serial number 1433. Also stolen was a ballistic vest. 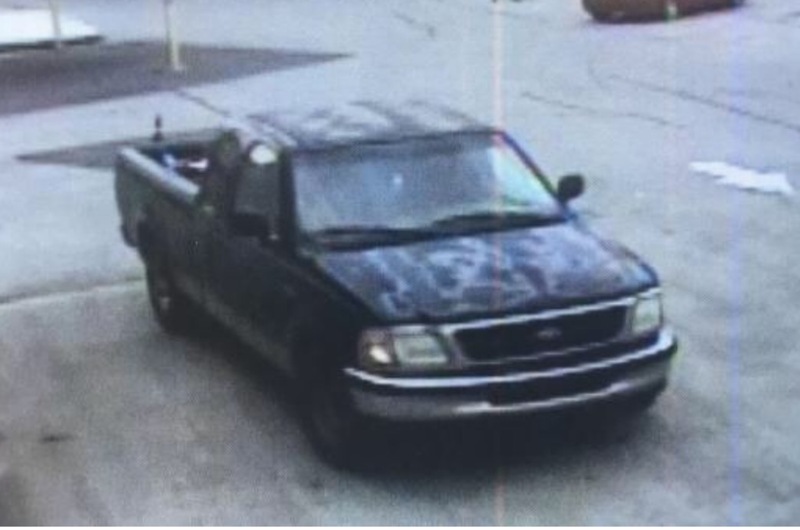 If you recognize this suspect vehicle or have any information about this crime, call our “Tips” line day or night, and you could earn up to a $1000 cash reward. All callers remain anonymous. 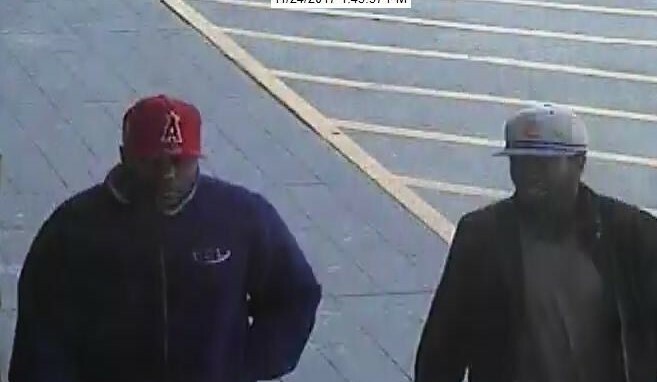 LAFAYETTE CRIME STOPPERS NEEDS YOUR HELP IN IDENTIFYING SUSPECTS RESPONSIBLE FOR AN ARMED ROBBERY AT THE A LOCAL BANK IN LAFAYETTE. oN AUGUST 11, 2017 LAFAYETTE POLICE RESPONDED TO AN ARMED ROBBERY IN PROGRESS AT A BANK. A MALE AND FEMALE ENTERED THE BANK AND APPROACHED A TELLER. THE MALE SUSPECT THEN PRODUCED A HANDGUN AND DEMANDED CASH. BOTH SUSPECTS THEN FLED THE LOCATION WITH AN UNDISCLOSED AMOUNT OF MONEY. THEY WERE SEEN ENTERING A SMALL LIGHT COLORED SEDAN SIMILAR TO A HYUNDAI MODEL. IF YOU HAVE ANY INFORMATION ABOUT THIS CRIME OR KNOW THE IDENTITY OF THE SUSPECTS, CALL OUR TIPS LINE DAY OR NIGHT. ALL CALLERS REMAIN ANONYMOUS AND CAN EARN UP TO $1,000 IN CASH. 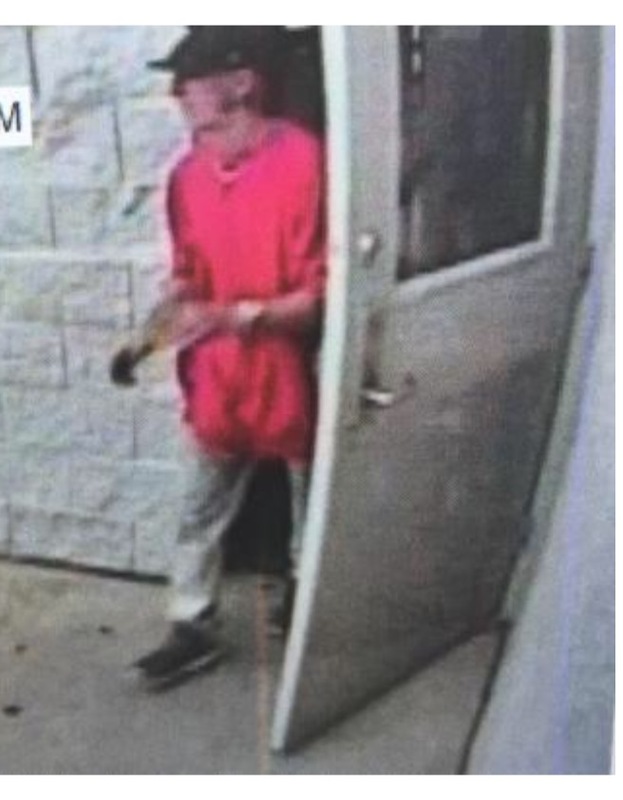 Lafayette Crime Stoppers needs your help in identifying a suspect responsible for a Vehicle Burglary in the Lafayette area. On July 15, 2017 at approximately 1:27 a.m. an unknown male was seen in the 100 block of Nicholas Dr. breaking into a vehicle. Once inside the vehicle the suspect removed several personal items along with a firearm. After the burglary the suspect was seen fleeing the area on a bicycle. The entire incident was captured on surveillance video. If you have any information about this crime or know the identity of the suspect, call Lafayette Crime Stoppers at 232-TIPS day or night. All callers remain anonymous and can earn up to $1,000 cash. 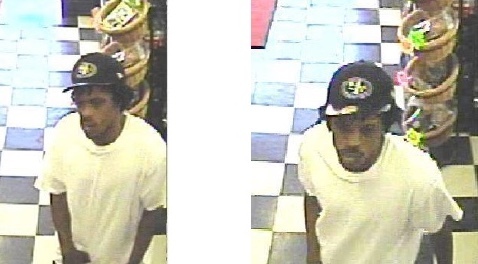 Lafayette Crime Stoppers needs your help in identifying a suspect responsible for an Attempted Homicide in Lafayette. On June 24, 2017 at approximately 10:15 p.m. Lafayette Police responded to the 1300 block of Moss St. in reference to shots fired. An unknown male entered the building during an event and began firing into a crowd striking two victims. He exited through a rear door and was last seen fleeing the location on foot. He is described as a tall light skin black male, slim build. If you have any information about this crime or know the identity of the suspect, call Lafayette Crime Stoppers at 232-TIPS day or night. Remember, all callers remain anonymous and can earn up to $1,000 for any information that leads to an arrest. 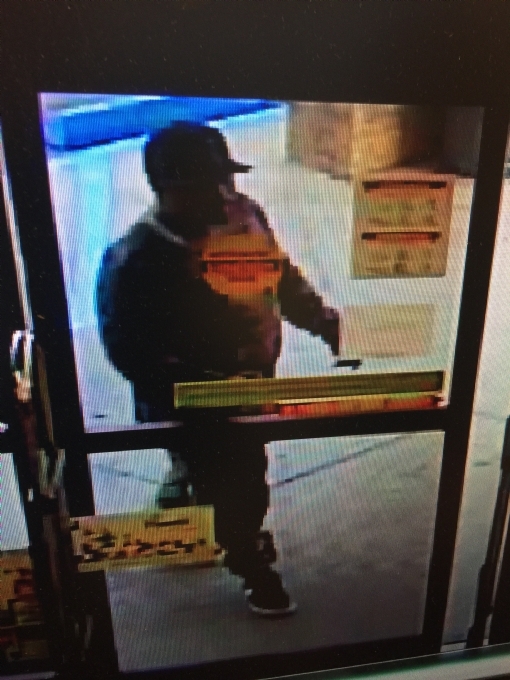 Lafayette Crime Stoppers needs your help in identifying a suspect responsible for an Armed Robbery at a local business in Lafayette. On May 22, 2017 at approximately 2:26 a.m. Lafayette Police responded to the 1300 block of N. University Ave. in reference to an armed robbery in progress. 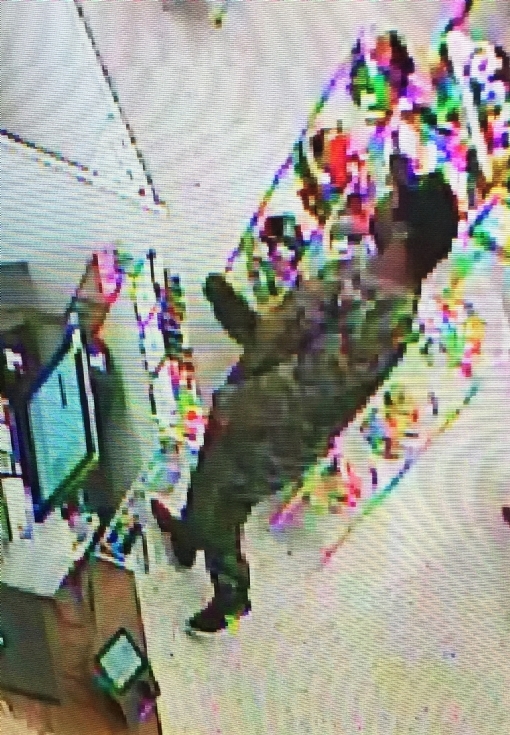 A male suspect entered the business wearing a green shirt, black shorts and black shirt used as a mask to cover his face. The suspect fired a warning shot upon entering the business before demanding money from the clerk. He fled the location on foot with an undisclosed amount of cash and tobacco products. If you have any information about this crime or know the identity of the suspects, call our tips line day or night. All callers remain anonymous and can earn up to $1,000 cash reward. Go to www.lafayettecrimestoppers.com to submit a tip online, call in at 232-TIPS (8477) or Text “LCS153” plus your tip to “CRIMES” (274637). It’s safe, it’s anonymous and pays to call Lafayette Crime Stoppers. Lafayette Crime Stoppers needs your help in identifying a suspect responsible for a Attempted Homicide. On March 18, 2017 at approximately 6:44 p.m. Lafayette Police Department responded to the 1100 block of E. Simcoe St. in reference to shots fired. A male suspect entered the business and shot the owner several times before fleeing the scene. 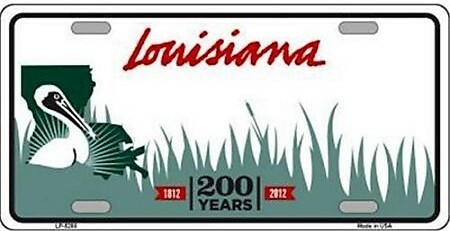 He was seen traveling in a white older model Buick with Louisiana Pelican license plate. 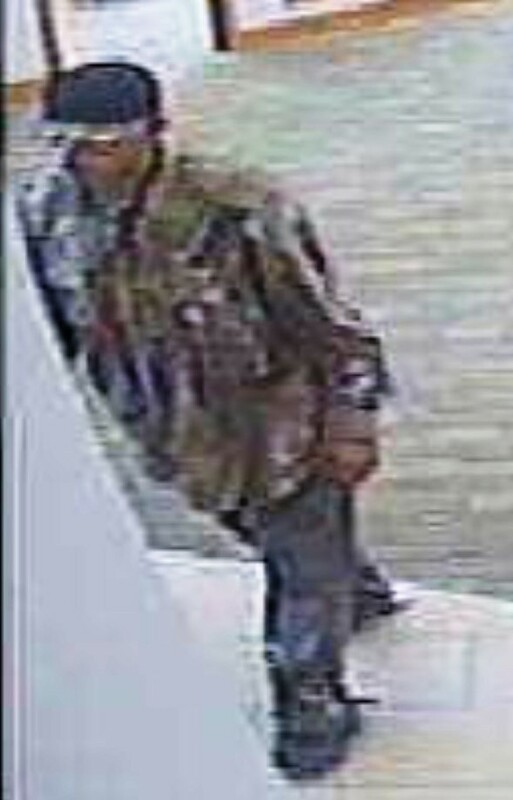 He is described as a black male in his mid 20’s, approximately 6 feet tall, thin build with a small afro. We need your help Acadiana, If you have any information about this crime or know the identity of the suspect, call our tips line day or night at 232-TIPS. All callers remain anonymous and can earn up to $1,000 cash. Lafayette Crime Stoppers needs your help in identifying a suspect responsible for a Stolen Vehicle and a number of crimes around the Lafayette area. On March 16, 2017 Lafayette Police responded to 2100 block of Cameron St. in reference to a stolen vehicle. An unknown male stole a black Ford F150 from the location and committed several crimes throughout the day including a residential theft in the 100 block of Elysian Fields Dr. and a theft from a business in the 2400 block of W. Pinhook Road. The stolen vehicle was located on March 17 unoccupied in the 100 block of Delmar Lane. If you have any information about any of these crimes or the identity of the suspect, call our tips line day or night. All callers remain anonymous and can earn up to $1,000 cash reward. Lafayette Police are investigating vehicle burglaries that occurred in the 1800 block of Eraste Landry Rd. on the evening of March 4, 2017. An unknown male was captured on surveillance video entering equipment trailers and a vehicle in the parking lot of the business. The suspect removed thousands of dollars worth of TV production equipment and other personal items. He appears to be operating a small sedan. If you have any information about this crime or the identity of the suspect, call our tips line day or night. All callers remain anonymous and can earn up to $1,000 cash. In 2016, Lafayette Crime Stoppers received over 1,021 tips from callers throughout Acadiana. From those tips, Lafayette Crime Stoppers assisted Acadiana law enforcement agencies in clearing 150 cases, seized over $9,000 in illegal drugs with 134 arrests and placing an additional 126 fugitives behind bars. With those arrests, Crime Stoppers paid out over $26,000 in rewards. And since its inception in 1982, over $600,000 dollars in rewards were paid out. Remember, if you have any information on a crime or the location of a fugitive, call our tips line day or night. You too, could earn up to a $1,000 cash reward and remember, all callers remain anonymous. On the morning of December 30, 2016 at approximately 4:00 a.m., video surveillance captured the suspect as he entered the victim’s unlocked vehicle located in the 300 block of N. Girouard Road in Broussard. The suspect stole several items including a radar detector, a hard drive, a Sirius XM radio and a power converter. 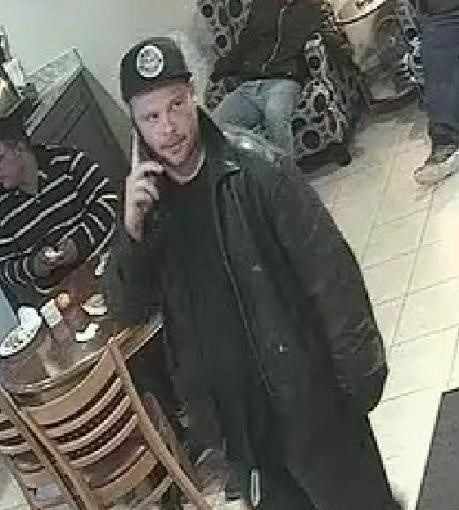 If you recognize this suspect or have any information about this crime, call our “Tips” line day or night, and you could earn up to a $1000 cash reward. All callers remain anonymous. On January 4, 2017 at approximately 9:11 p.m. Lafayette Police responded to a local hotel located in the 1400 block of SE Evangeline Thwy. in reference to a Armed Robbery in progress. 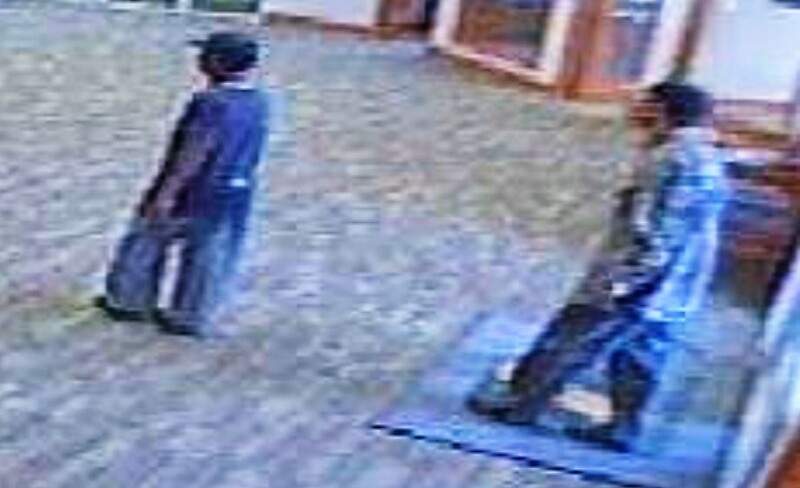 The male suspect entered the hotel armed with a gun through an open rear door. Once inside, he ordered the employees to the ground and forced one employee to remove the cash from the register. He was last seen fleeing the location on foot. The entire incident was captured on surveillance video. On December 25, 2016 Lafayette Police responded to a business located in the 4700 block of Johnston Street. The male suspect entered a restricted area while inside the business and placed cartons of cigarettes in a bag. During an encounter outside the business with the victim, the suspect struck the victim with his vehicle before fleeing the location with the stolen goods. The suspects’ vehicle is described as a dark grey four door Honda Accord or Honda Civic with a temporary license plate in the rear window. If you have any information about this crime or the identity of the suspect call our tips line day or night. All callers remain anonymous and can earn up to a $1,000 cash reward. If you have any information about the crime or the identity of the suspects, call our tips line day or night. All callers remain anonymous and can earn up to $1,000 cash reward.